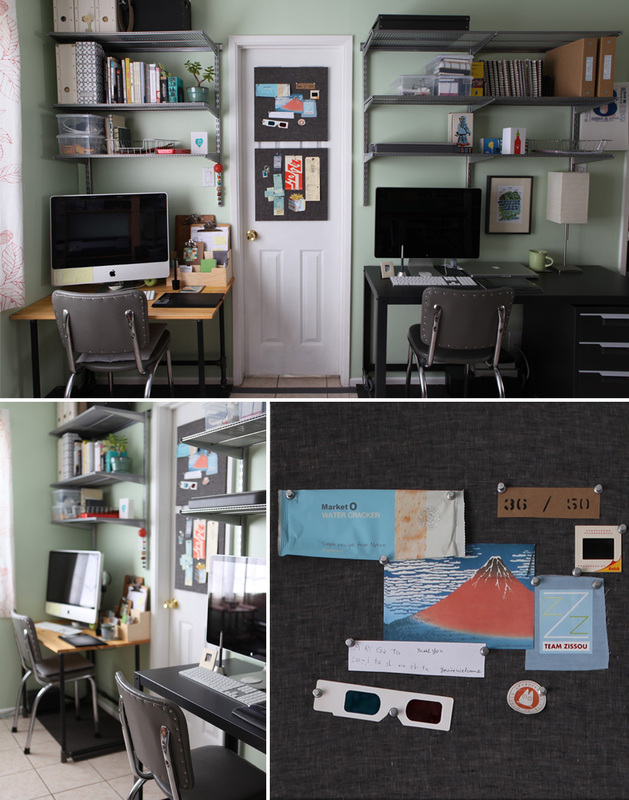 After four years of sharing a one-room studio with my husband, our many tools and supplies slowly multiplied until they were stacked in piles around the room. I’m not sure how long I moved cardboard boxes full of stuff from the table, to the shelf, to the floor, and back to the table, before deciding to do a major overhaul. I’m so glad that we did. The current issue of Studios Magazine, published by Cloth Paper Scissors, includes photos and an article describing our upgraded studio space. The magazine features a variety of different studios, with great ideas for just about anyone’s space. Our main storage problem was solved with open shelving from Ikea and a selection of bins and boxes from the Container Store. 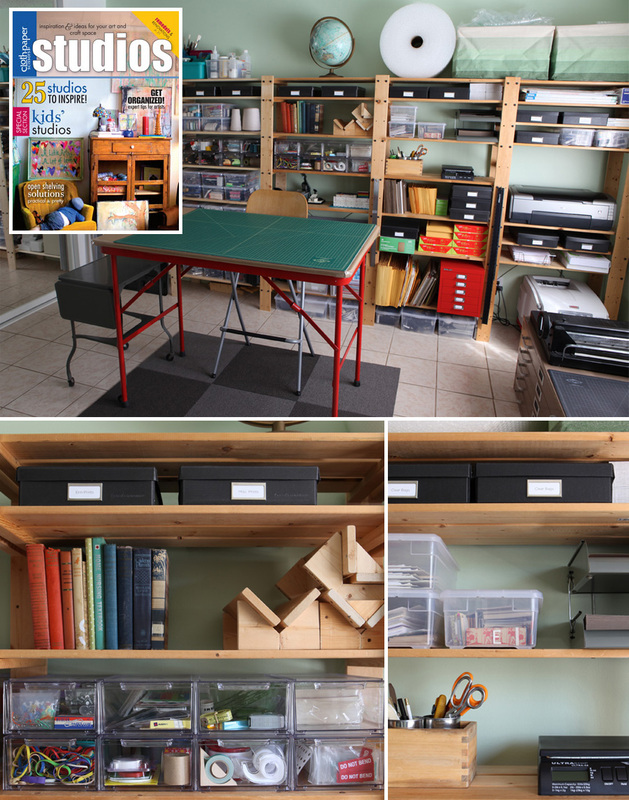 The open shelving and clear bins are helpful when I am in the middle of a project and looking for a particular tool. Not only do we store our tools and supplies here, but we also stock our Etsy shops and store all of our shipping supplies here as well. The opposite wall of the studio is where do all of our computer work. The shelves above our work spaces are great for storing books, files, and extra computer equipment. We hung cork boards on the bathroom door to make better use of the space. If you get the chance, check out the Summer 2012 issue of Studios Magazine online or at your local bookstore! Thanks to Ben Schlitter for taking all of these great photos. This entry was posted on Monday, June 25th, 2012 at 10:50 pm	and is filed under Publications. You can follow any responses to this entry through the RSS 2.0 feed. You can leave a response, or trackback from your own site. The studio looks so beautiful!! You are the most organized person I know. Congrats on being featured in so many magazines lately! You deserve it! Thanks for sharing! I always love your posts – wish you posted more ! Love Love Love your space! You guys create beautifulness in there!